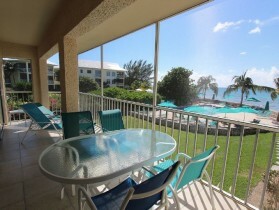 Beautifuly Renovated 3 Bedroom 2 Bath Beach Front Condo on Seven Mile Beach! 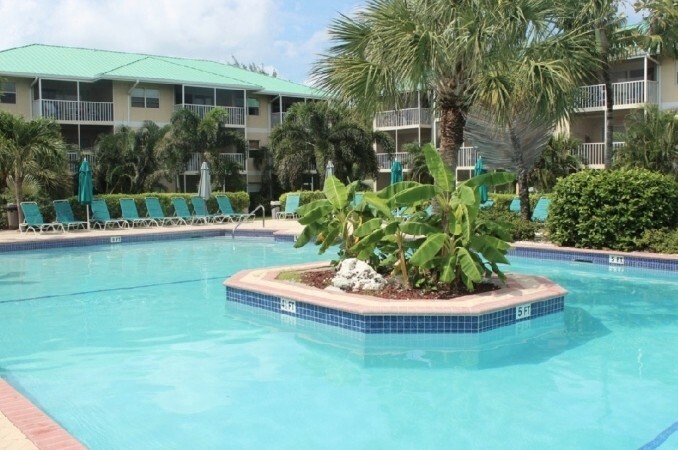 This condo is located at Plantation Village in a great location on Seven Mile Beach. Everything you need is within easy walking distance. For July and August we are offering one night free on all seven night rentals!! 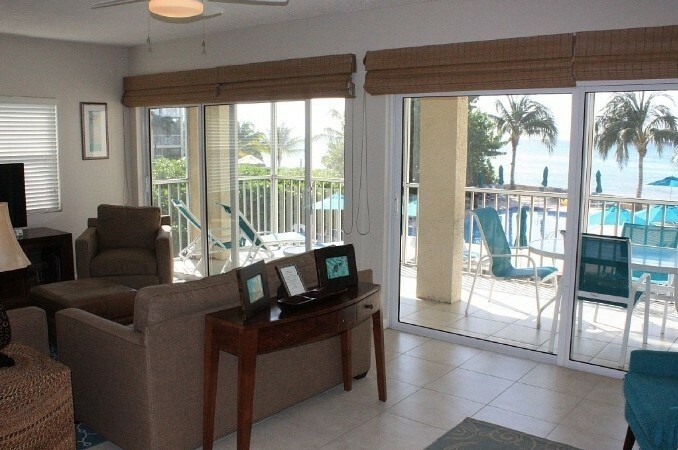 The condo gives you an opportunity to feel like you are home, while enjoying all the fun of being on vacation. 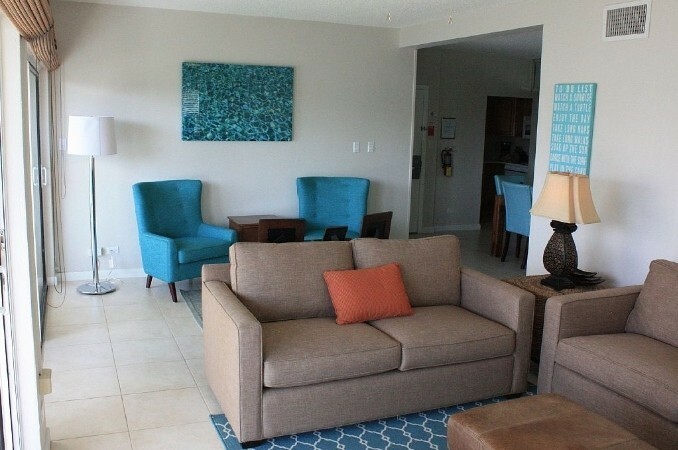 By choosing our condo, you will have three bedrooms, two bathrooms, laundry facilities, and a full kitchen! The Master has a king size bed and an ensuite bathroom with a tub/shower combination. 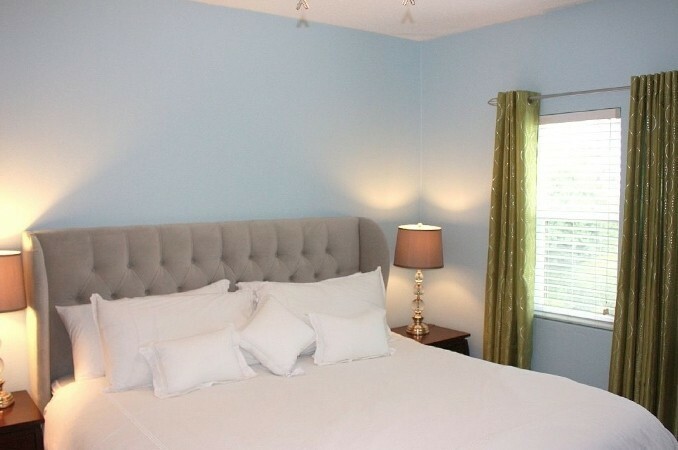 The second bedroom has a king size bed (new June 2014) with patio doors allowing for an amazing view. The third bedroom has a King Bed and then another twin bed (room sleeps 3). There is also a Queen sofa bed in the living room. The Resort boasts two pools - one large pool with a sea view and an even larger pool with beautiful features. 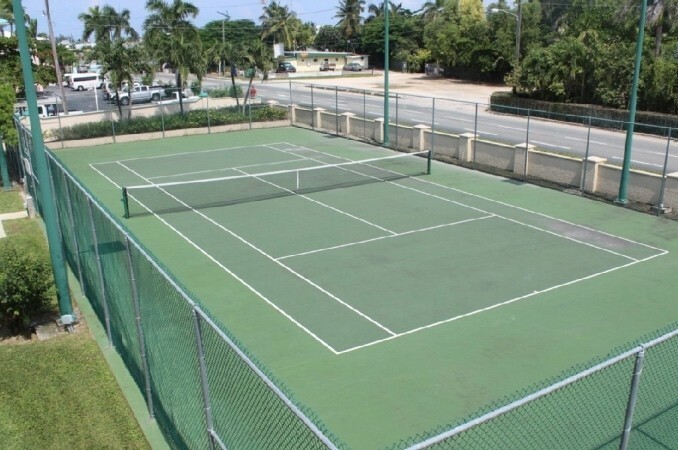 There is also a lighted tennis court, plenty of green space and Plantation Village is the only complex on Seven Mile to boast a playground. Plantation Village also has kayaks and bicycles for your use - both free of charge! There are also 2 grilling areas for use on the grounds with large Weber gas grills. Many details have been taken into consideration to help you to feel at home. The kitchen is fully stocked with all of the basics as well as some nice extras such as a coffee maker, set of wine glasses, serving dishes and knife block to name just a few. 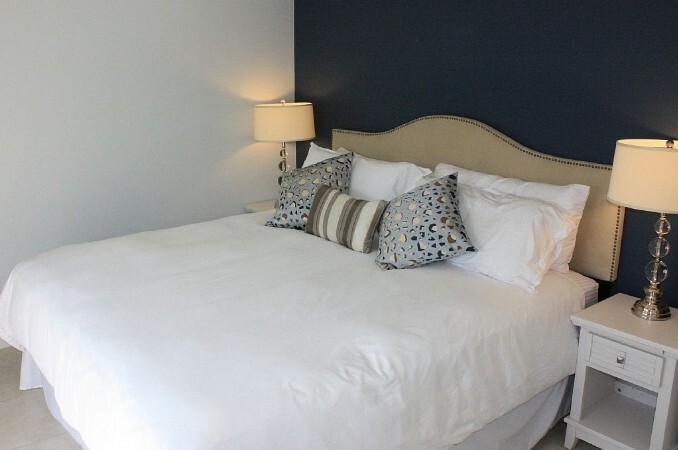 There is high quality bedding and towels to ensure you are comfortable in all aspects. We also want you and your valuables to feel secure so you will find a safe in the condo. We are completely prepared for your little ones - crib, highchair and beach toys, snorkel equipment and tennis racquets to keep them busy. The main bathroom has a tub and shower, which is often helpful for families travelling with kids. This condo is in a great location! You can snorkel directly in front of the complex and access all other watersports (jet-skiing, parasailing, banana boat, kayaking, etc.) by taking a short walk to Marriott hotel. A visit to Cayman isn't complete without a visit to Stingray City. Tour operators will pick you up at the condo to take you to Stingray City or Scuba Diving. Also, within walking distance is Cayman's newest development, Camana Bay, where you will find the cinema, shops, restaurants, and a nice treat of ice cream or frozen yogurt. Our condo is also on the bus route for easy access to downtown George Town or Hell and the Turtle Farm in West Bay. The closest supermarket is about a 15 minute walk or 3 minutes on the bus. Walk one way and bus home. 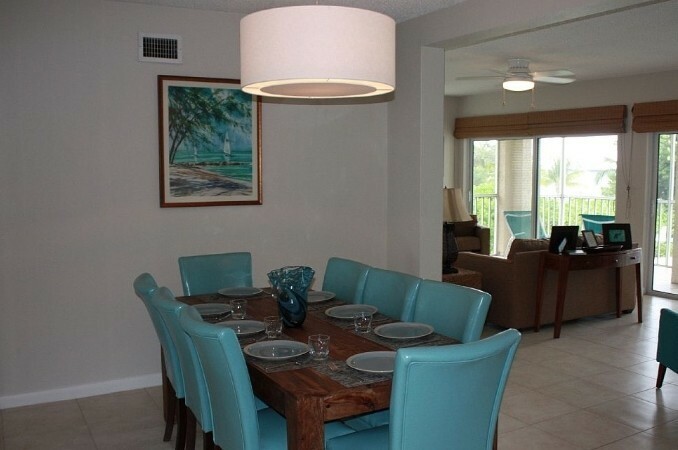 We hope that you will fall in love with our condo and Cayman as we have! Tax and Additional Fees are excluded in the nightly rate. Additional Rate Information: The US$500.00 Refundable Damage Deposit is not required until the day of arrival and is only authorized on a credit card and then released after your departure if there are no issues. Flow studio offers private and group instruction as well as focused workshops and retreats and is a certifying training site and apprenticeship for Yamuna® Body Rolling, Anti Gravity® Yoga in Grand Cayman. Seven Mile Beach, George Town, Cayman Islands. 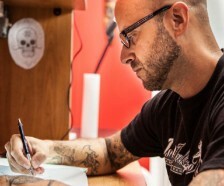 Custom tattoo shop with amazing artists. Address:The Marquee Units I & J.36, Lawrence Blvd. Seven Mile Beach, Grand Cayman, Cayman Islands. The Bliss company mission is to make the practice of yogic wellness inviting and accessible to everyone with the simple philosophy of being able to enjoy life to the fullest and practicing this on and off the mat!Bliss is a place for everyone to feel at Home, safe, encouraged, empowered and always welcome. Haagen-Dazs, the leading brand in premium ice cream, offers a sumptuous selection of fine ice cream, sorbets and smoothies. Indulge in tempting flavours including Dulce de Leche and Vanilla Caramel Brownie or enjoy a guilt-free treat like Lemon, Mango or Raspberry Sorbet. Haagen-Dazs also serves coffees and soft drinks. Hours Of Operation: Daily 12pm-11pm. 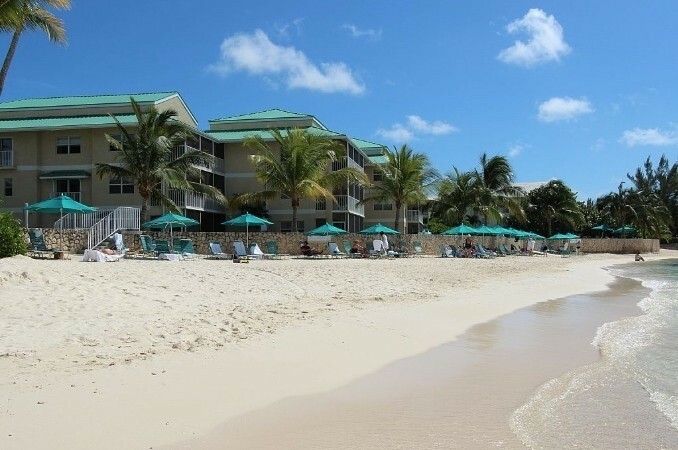 Address:Seven Mile Beach, Grand Cayman, Cayman Islands. Spanning 144 acres sea to sea from Seven Mile Beach to the North Sound, The Ritz-Carlton, Grand Cayman unites the top names in every field to offer its guests one-of-a-kind experiences. George Town, Grand Cayman, Cayman Islands. The National Trust for the Cayman Islands preserves cultural and traditional sites of artistic and architectural interest on the islands. The Cayman Islands National Trust also provides protection for local natural resources and wildlife. If you're looking for some of the best snorkelling in the Cayman Islands then check out Cemetery Beach. 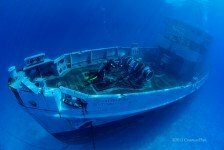 If you're a good swimmer take a swim out to the Kittiwake marine park where you'll see the sunken US Navy vessel that's becoming a natural coral reef. The town of Camana Bay in the Cayman Islands ushers in a new lifestyle experience for the Caribbean. Stretching 500 acres from Grand Cayman’s famous Seven-Mile Beach to the North Sound, this unique community was developed by Dart Realty in collaboration with an exceptional team of visionaries — architects, city planners, landscape designers, wind, water, and lighting experts. Located on The Crescent, Gelato & Co. Cremeria Italiana offers Camana Bay visitors a taste of la dolce vita with authentic, homemade Italian ice creams, pastries and cakes. 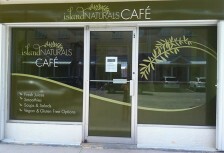 Address:West Shore Center (in the Pink Plaza) 508 West Bay Road, Seven Mile Beach, Grand Cayman, Cayman Islands. Hours Of Operation: 3pm - 1am. Address:Town Centre, Camana Bay, Seven Mile Beach, Grand Cayman, Cayman Islands. Café del Sol, Cayman’s favourite coffee shop, serves gourmet coffees, refreshing smoothies, and a range of tempting sandwiches, salads and pastries. The cozy eatery connects directly to next-door Books & Books, making it the perfect place to take a break from shopping, browse the pages of a new book or simply catch up with friends. Wireless internet access and computer stations are also available. 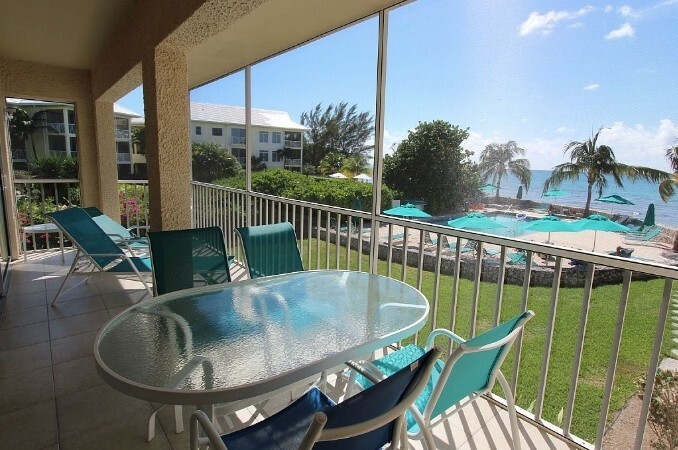 Address:West Bay Road, Seven Mile Beach, Grand Cayman, Cayman Islands. Tiki Beach. It’s so much more than a beach... it’s a lifestyle! Discover Cayman’s latest treasure, the Kittiwake on your Cayman dive vacation. It was after a perilous 9-day tow through an ice storm that the former Chanticleer Class Submarine Rescue Ship reached Cayman waters. In service from 1945 to 1994, her most memorable duty was the diligent recovery of the Challenger Space Shuttle Disaster. On January 5th, 2011 a three cannon salute signaled the Kittiwake’s triumphant sinking. Hours Of Operation: The Tower is open from sunrise until 10 p.m. (subject to weather conditions). A bird’s eye view of Grand Cayman awaits atop the 75-foot Observation Tower. One of the island’s tallest structures, it offers 360-degree views across Seven Mile Beach, George Town, the North Sound, and beyond. Free to the public, The Tower is open from sunrise until 10 p.m. (subject to weather conditions).